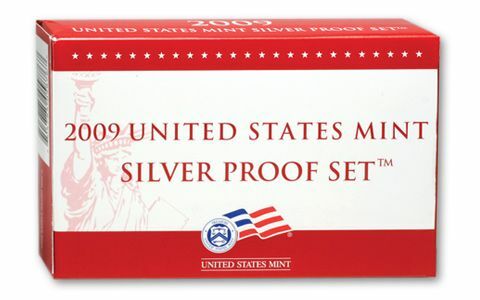 Largest U.S. Mint Silver Proof Set Ever! This astounding 2009 masterwork is positively bulging with coins - the most ever issued in a single year by the U.S. Mint! 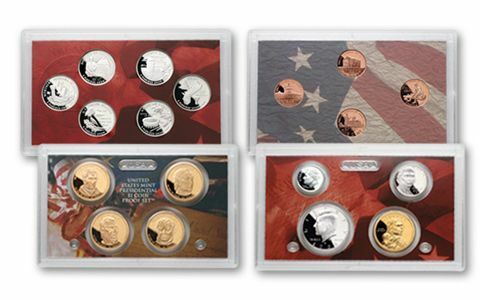 The set has the Territorial Quarters, the Roosevelt Dime, Washington Quarter and Kennedy Half Dollar ALL struck in 90% silver - but the value doesn't stop there. 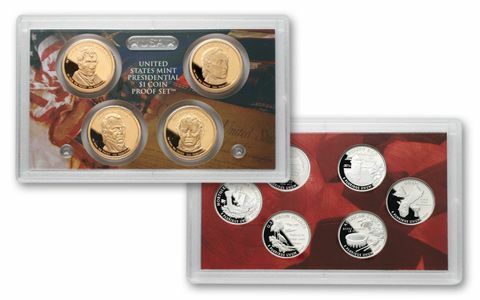 The set also features the four coveted copper commemorative Lincoln Cents, a new reverse for the Native American Dollar, and the four third-year Presidential Dollars! 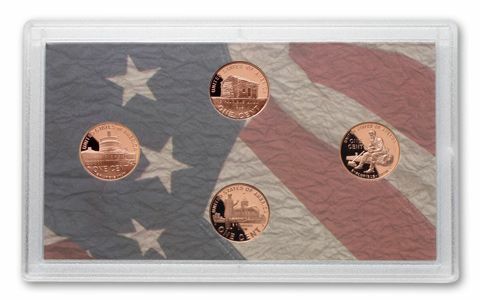 It takes four colorful holders to display every coin. What a great gift!